​The Santa Cruz hiking and adventure club where kids go out for a new adventure everyday! 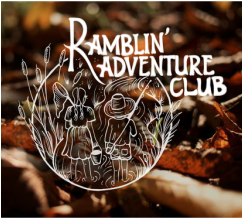 What Is Ramblin' Adventure Club? Our mission is to make learning fun and connect kids with the outdoors! We have developed our own curriculum around each area that we explore. Our goal is to provide a safe and fun learning experience outdoors while exploring a new area of Santa Cruz county each day of the week. If your child gets out of school before you get off work, our after school adventures are perfect for you! indoors will be able to play outside.